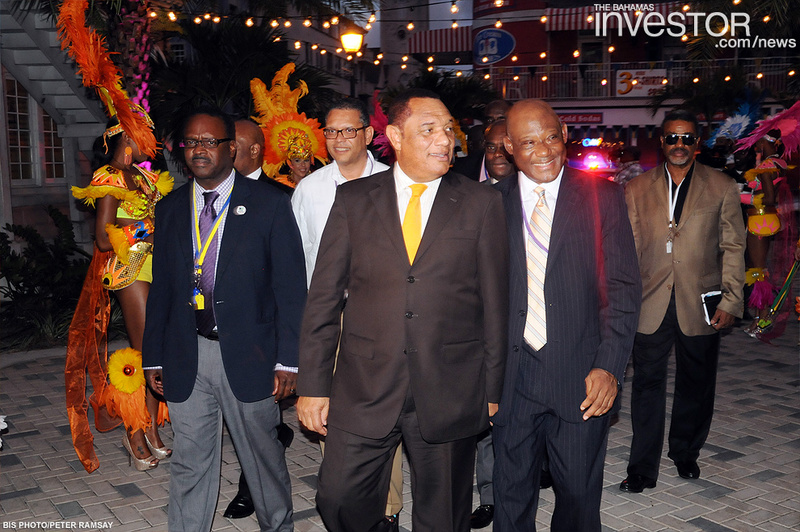 Prime Minister Perry Christie (centre), walks through the crowd at the ceremony marking the launch of the new Bahamas Junkanoo Carnival, which is slated for May 2015, August 27. 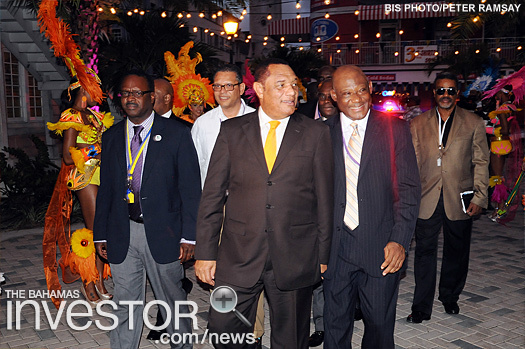 Pictured: (from left) Minister of Youth, Sports and Culture Dr Daniel Johnson; Baha Mar senior vice-president of external and government affairs Robert Sands; Prime Minister Christie; Former commissioner of the Bahamas Film and Television Commission, Craig Woods; and chairman of the Bahamas Carnival Commission Paul Major. 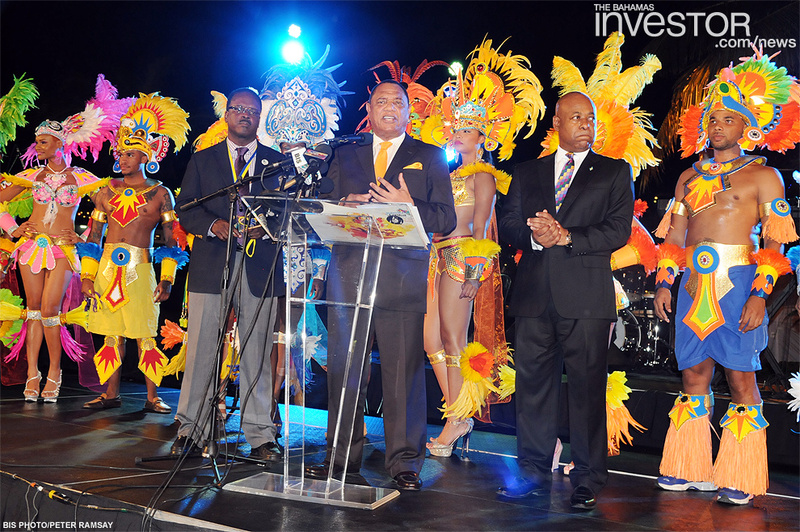 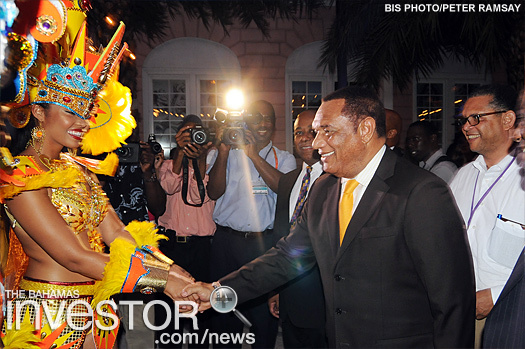 The Bahamas has officially launched the Bahamas Carnival, which will run in May each year. 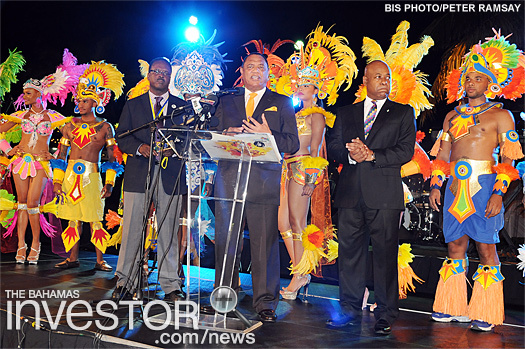 Watch a video about the launch here.